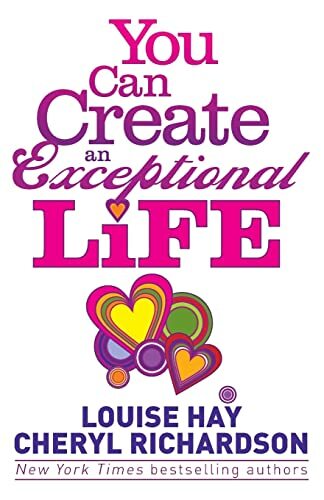 Louise L. Hay You Can Create an Exceptional Life: Candid Conversations with Louise Hay and Cheryl Richardson. You Can Create an Exceptional Life: Candid Conversations with Louise Hay and Cheryl Richardson. For millions of people around the world, the words of Louise Hay have served as a beacon, leading them out of the darkness of despair and into the light of a better life. Cheryl Richardson is one of the many individuals whom Louise has greatly influenced . . . before going on to become a best-selling author herself. So what happens when these two combine their collective wisdom into one book? The result is what you're now holding in your hands. As Louise and Cheryl engage in a series of empowering and intimate conversations, you'll feel as if you're simultaneously having lunch with your best friends and also attending a master class put on by two leaders of the self-empowerment movement. As they travel throughout North America and Europe together, Louise and Cheryl discuss a wide range of topics, including the importance of loving ourselves and our bodies; aging consciously; bringing true prosperity and abundance to the world; manifesting positive relationships-both with family and friends and in the workplace; and facing death in a dignified and peaceful way. These two amazing women are living proof that the spiritual principles they discuss in these pages really work. As you read, you'll discover that you, too, have the ability to create an exceptional life! Louise L. Hay, the author of the international bestseller You Can Heal Your Life, is a metaphysical lecturer and teacher with more than 40 million books sold worldwide. Cheryl Richardson is the New York Times bestselling author of Take Time for Your Life and The Art of Extreme Self-Care. 7. You Can Create an Exceptional Life: Candid Conversations with Louise Hay and Cheryl Richardson. 8. 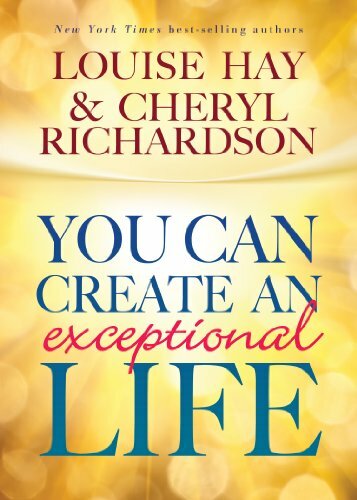 You Can Create an Exceptional Life: Candid Conversations with Louise Hay and Cheryl Richardson.